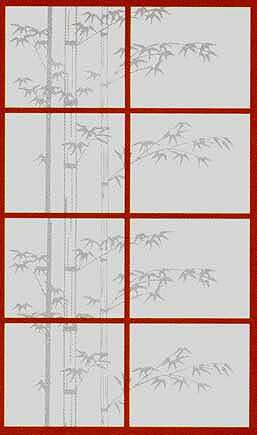 Bamboo Silhouette tree design Shoji paper is made of high quality rice paper. Rice paper is mixed with acrylic to prevent discoloration. Imported from Japan.